A tiny sponge-like implant, no bigger than a Tylenol tablet, is showing promise as an early warning system for spreading cancers. The implant has shown positive results in tests in mice and developers are hoping it will show similar results in humans. The study analyzed the effectiveness of the implant and was led by Professor Lonnie Shea from the University of Michigan. Approximately 90% of cancer deaths are the result of metastasis, the process by which cancer cells and tumors spread from one part of the body to another. It happens when cancer cells somehow pass through membranes or enter the blood stream, where they circulate and can end up attaching elsewhere and multiplying. 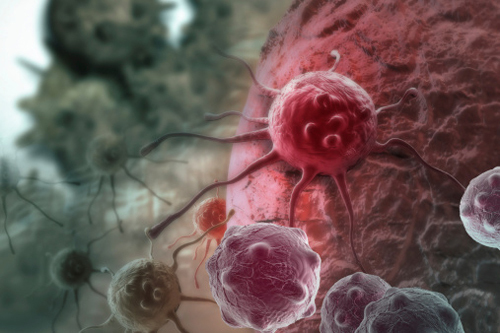 Loose cancer cells are known to be drawn to immune cells as well. The intent of the implant is to serve as a detection mechanism when it is placed under the skin or abdominal fat. Since the implant is a foreign body, immune cells are drawn to it and in turn, so are loose cancer cells. By examining the implant, a doctor could find whether cancer cells have begun circulating before an additional tumor would appear. If it works in humans, the implant would be a significant boon as cancer cells in the bloodstream are otherwise difficult to detect. Interestingly, when comparing the mice, researchers found that not only was the implant properly capturing cancer cells, but the number of cancer cells at other sites was reduced as well. It is theorized that the implant’s trapping ability may not only detect cancer spreads, but also help prevent it. Clinical trials in humans are being planned to begin soon. The trials will serve to assess several different aspects of the implant. In addition to whether the implant can serve its purpose as an early detection mechanism and is safe, the trials will also try to assess if the early detection actually has an impact on patient outcomes. Azarin, S., et al., “In Vivo Capture and Label-free Detection of Early Metastatic Cells,” Nature Communications 2015; 6(8094), doi:10.1038/ncomms9094. “Implant ‘Traps’ Spreading Cancer Cells,” BBC News web site, September 9, 2015; http://www.bbc.com/news/health-34191325.